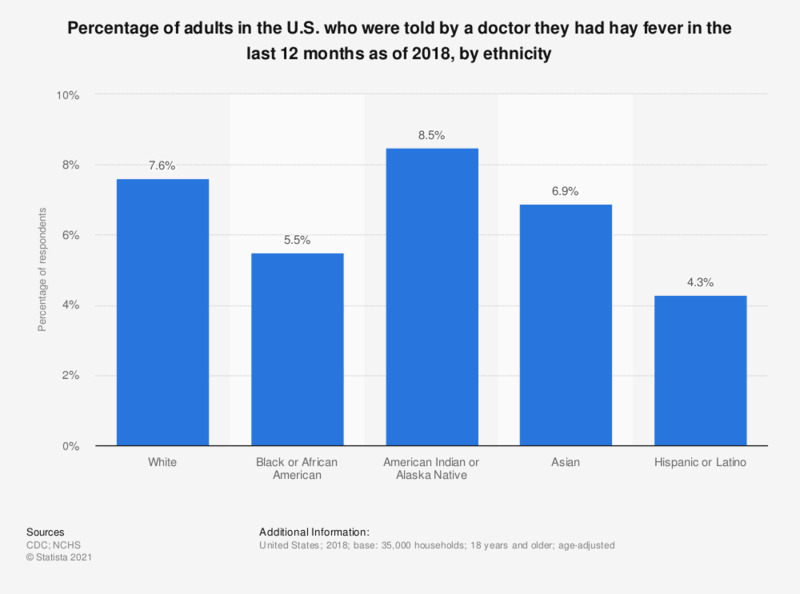 This statistic displays the percentage of adults in the U.S. who were told by a doctor in the past 12 months they had hay fever as of 2017, by ethnicity. In that year, 8.2 percent of white respondents had hay fever in the past year. Respondents were asked in two separate questions if they had ever been told by a doctor or other health professional that they had emphysema or asthma. Respondents who had been told they had asthma were asked if they still had asthma. Respondents were asked in four separate questions if they had been told by a doctor or other health professional in the past 12 months that they had hay fever, sinusitis, or chronic bronchitis. Everything On "Allergies in the U.S." in One Document: Edited and Divided into Handy Chapters. Including Detailed References. Statistics on "Allergies in the U.S."
What impact does social media have on your television viewing?